DENVER — Thousands of miles (kilometers) from the ocean, a museum tells the story of a woman made famous by the Titanic. No, her name was not Rose, and a movie about her life, "The Unsinkable Molly Brown," starring Debbie Reynolds as a plucky lifeboat survivor, was a hit decades before Kate Winslet's doomed romance in "Titanic." Molly Brown was a real person, but the movie created a myth that the museum, located in Brown's Denver home, attempts to dispel. Born in 1867 to Irish immigrants in Hannibal, Missouri, Brown struck it rich, with her husband, from a Colorado gold mine years before she boarded the Titanic, and in later years, she fought for women's suffrage and labor rights. No one called her Molly during her lifetime — her name was Margaret — and biographer Kristen Iversen, author of "Molly Brown: Unraveling the Myth," writes that there's no proof she ever referred to herself as "unsinkable." The nickname seems to have originated with a Denver gossip columnist who may have been mad that Brown gave her account of the Titanic disaster to a newspaper in Newport, Rhode Island, where she also spent time. Iversen says two books written in the 1930s created the image of Brown as a gun-packing, wisecracking former saloon girl, accounts that became the basis of the Broadway play and later the 1964 musical starring Reynolds. Molly Brown also appears in James Cameron's "Titanic," portrayed by Kathy Bates. Brown eventually separated from her husband and, unlike on screen, they never reunited. That gave her the freedom to indulge in travel, and in 1912, she headed to Egypt with John Jacob Astor and his wife. She cut the trip short to visit her ailing grandson back in the U.S., and set sail on the Titanic from France, where the ship made one stop to pick up passengers and provisions. Brown wrote that she was watching from a deck after the Titanic hit the iceberg and was thrown into lifeboat No. 6. 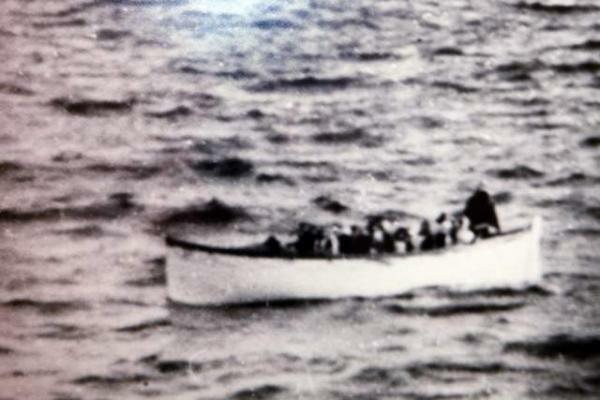 She rowed all night with its mostly female crew until the rescue ship Carpathia arrived. Before the disaster, Brown was well known in Denver for her charity and social reform work, such as fundraising to build Immaculate Conception Cathedral and mountain camps for poor children and orphans. After the sinking, she gained fame for raising money from rich Titanic survivors to help poorer passengers, making sure they had a place to go when they got to New York. In 1914, she was called on to help ease tensions after 20 people, including women and children, died when the National Guard opened fire on striking coal miners and set fire to a tent colony in Ludlow, Colorado, an operation owned by John D. Rockefeller. Brown also helped with relief efforts during World War I and ran for the U.S. Senate in 1914, six years before women could vote nationally. The museum, a few blocks from the state Capitol, is offering Titanic-themed tours this year and some recent visitors sang songs from the musical on the front porch as they waited to begin. At the end, they were surprised to learn that Brown, despite having just an eighth-grade education, spoke several languages — which came in handy with the Titanic's international collection of passengers — and had planned to take another trip on the Titanic, in part to take advantage of its well-stocked library. Some of her own books are included in the museum's library, which like the rest of the home is lit by dim 15-watt bulbs like the ones she used. Upstairs, there's a copy of Brown's Titanic insurance claim, recording the loss of items including 14 hats, "street furs" and a $20,000 necklace. There are no Titanic items in the stone Victorian — which was saved from demolition in 1970 — thought there is a binnacle, a nonmagnetic stand that held navigational instruments, from the Titanic's sister ship, the Olympic. Brown followed her brother to the mining town of Leadville, Colorado, when she was 18 and got a job in a dry goods store. After marrying mining engineer J.J. Brown, she moved out of town to be closer to the mines during the winter. Janet Kalstrom, a retired banking project manager who has been the museum's Brown impersonator for six years, said that the five-mile (eight-kilometer) trip is a rough 45 minutes by four-wheel drive today and may hold some clues to Brown's toughness. "Adventure ran in her blood so the strength and courage came from just plugging away," she said. Brown died in 1932 in New York City while pursuing another lifelong passion — acting. To mark the Titanic anniversary, the museum is hosting a six-course meal, like first-class ship passengers might have had, on April 14 at Denver's historic Oxford Hotel. Brown's great-granddaughter, Muffet Laurie Brown — the daughter of the baby grandchild Brown was rushing home to see — will attend the benefit gala. In August, the museum plans a more affordable Steerage Class Shindig, featuring beer and an Irish band.